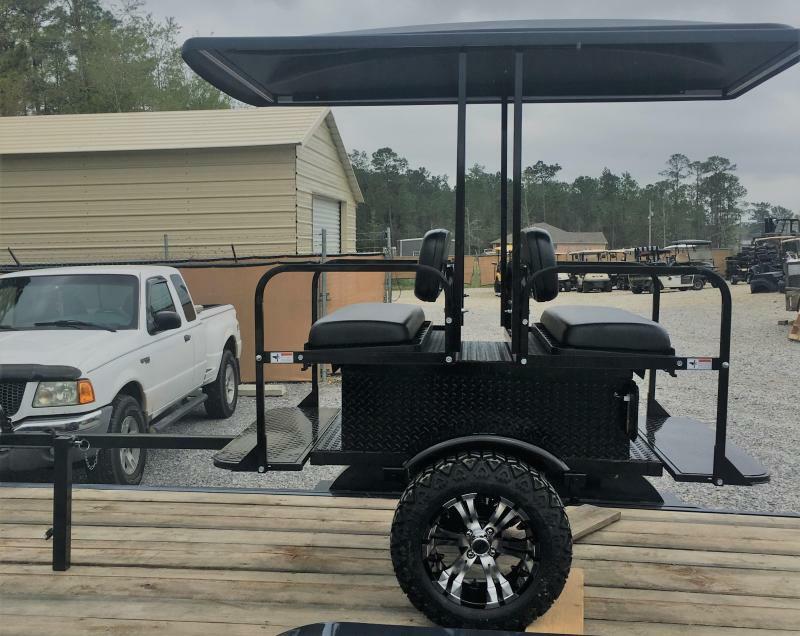 This custom built trailer is specifically built for Golf Carts and ATV. 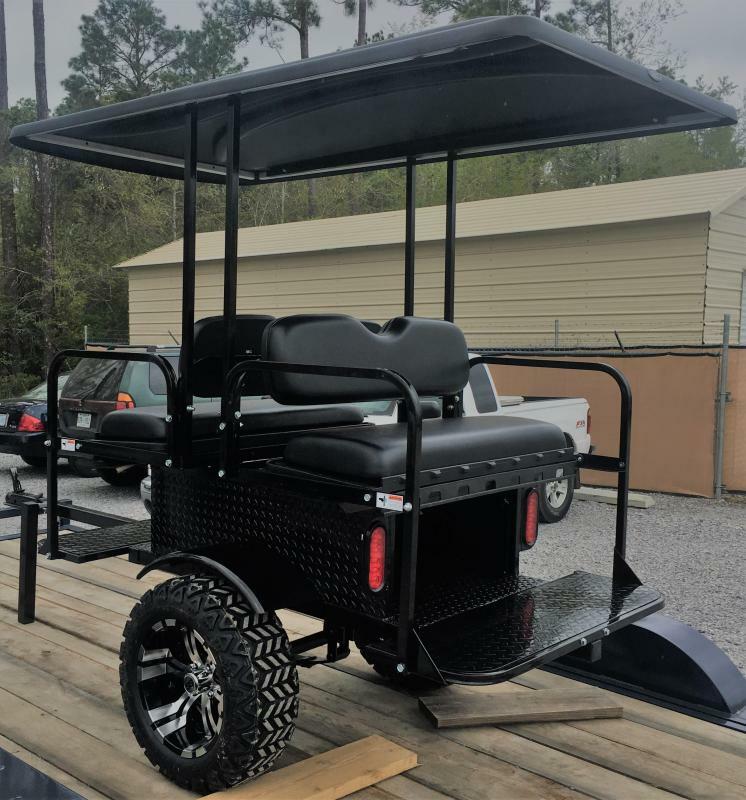 This trailer attaches to any golf cart standard or lifted. 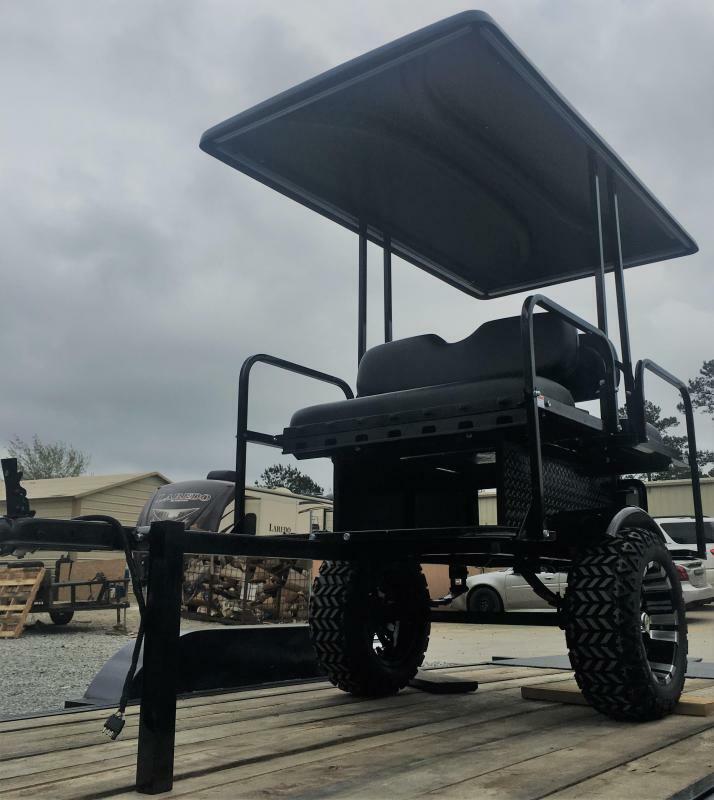 It is equipped with 2,000 lbs axle, 2 inch coupler, LED lighting, Custom Wheels, extended top, seating for up to 4 passengers, storage compartment underneath seating. For storage of trailer it is easily movable and equipped with a flip down jack. This trailer is the ideal passenger attachment for your golf cart or ATV. 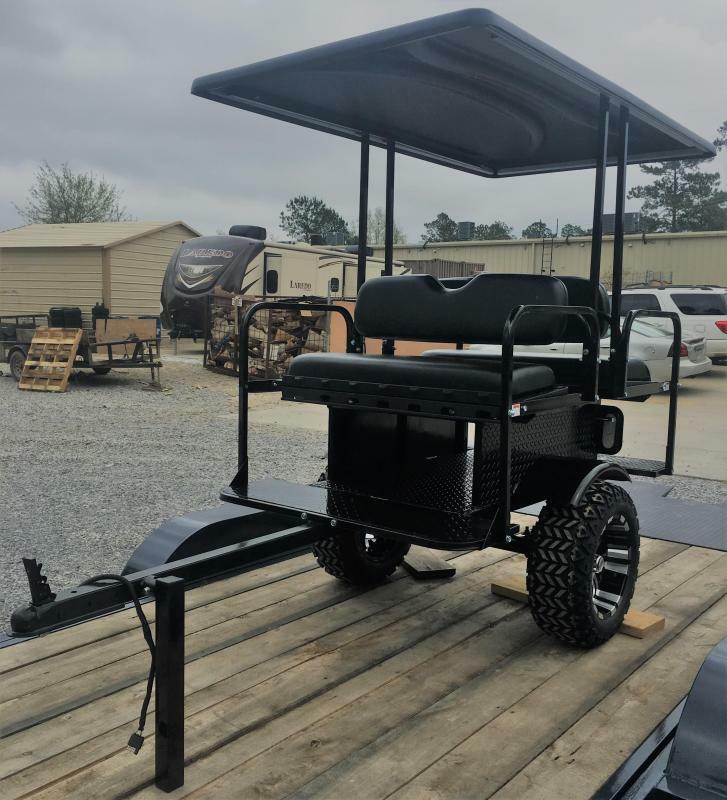 Tired of having guest over and never having enough room on your Golf Cart for them to come along? Do you enjoy your Golf Cart, for the course, but also enjoy using it around town, or maybe even the campgrounds? With our Hook N Go your able to still enjoy the wonders of the course and have the luxury of bringing your guest with you around town by attaching your Hook N Go. These trailers are built to your specific needs.